There are various legal forms of foreign companies in Cuba. 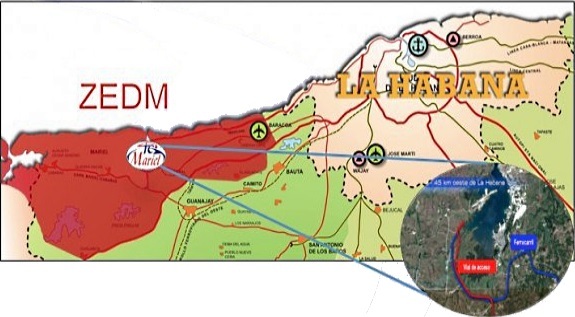 They range from a simple branch office through a joint venture, or an “Asociación Económica” (Economic Cooperation), to a tax exempted production plant in the Special Economic Zone Mariel. At the beginning of the business activities and, depending on the type of business, a simple branch office can be sufficient. Business Centers – mainly in Havana – offer a modern infrastructure. Services are exclusively available through national companies. If a company plans to be active with services in Cuba, it’s only possible through a joint venture (JV) with a national company. In general, the Cuban partner brings the property, the infrastructure and the staff, the foreign partner the know-how and financial resources. Joint venture negotiations are complicated and can be very time consuming. Large multinational companies have their experiences and had to attempt several times before completion. For this reason, assistance in formation of a joint venture should be through a reliable partner as , is highly recommended. Cuba is undergoing a transformation and is urgently seeking foreign investors / investment. Due to the often complicated bureaucratic processes, many companies lost interest in the Cuban market within the last few years. A new investment law adopted in 2014 will overcome these obstacles and has also created attractive legal forms for foreign companies. But even the legal provisions for domestic trade are changing. State-owned enterprises are converted into profit driven cooperatives, which are similar to an SME.